Job Summary: Reporting to the Credit Supervisor, the Credit Officer -Administration will be responsible for ensuring quality of loans disbursement, monitoring of loans portfolio and timely preparation and submission of reports. 1. Ensure completeness of loan and advances documents and security instruments before disbursement of loans. 2. Monitoring positions in respect of Loans and Advances management against approved risk tolerance limits. 4. Perform review of completeness of loans and advances documentation and security instruments. 5. Ensure timely preparation of appropriate regulatory and other reports for the Bank of Tanzania and Management. 6. Review and classify credit portfolio in line with the bank's credit policy and the bank of Tanzania's Regulations on Management of Risk Assets. 7. Ensure the bank is in compliance with all regulations, policies and limits in line with the bank Credit Policy. 8. Ensure correct credit data are sent to the Credit Reference Databank System In time. 9. To carry out any other related duties as may be assigned by the Superior. Holder of Business related Degree with at least 3 year experience in the field. Experience in Bankers Ream as a Core Banking System and knowledge of Bank products will be an added advantage. 1. To ensure high quality standards of the banks' lending businesses is always attained. 2. Continuously promote the range of products offered by the Bank, especially the loan products through direct marketing (e.g. information session, direct contact to potential clients). 3. Present and discuss the credit proposals with the Credit Supervisor. 4. Follow up on overdue loans and ensure recovery is done within the prescribed period. 5. Prepare credit proposals of loan applications for necessary approval processes. 6. Ensure that the collateral is formalized if necessary in cooperation with Legal unit and loan administrator. 7. To carry out any other related duties as may be assigned by the Supervisor. Minimum Qualifications and Experience Required: Holder of Business related Degree with at least 2 years experience in the field. Experience in Bankers Ream as a Core Banking System and knowledge of Bank products will be an added advantage. 3. 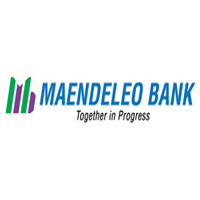 PROJECT COORDINATOR - AGENCY BANKING (One position).